As part of an exercise in partnership with SHELT – the Safety Health Environment Leadership Team – Story Contracting has taken part in a mock trial to highlight the consequences of a fatality in the workplace. Story Site Manager, Michael Bell, was ‘called to the dock’ as defendant in a mock trial following a hypothetical workforce fatality. 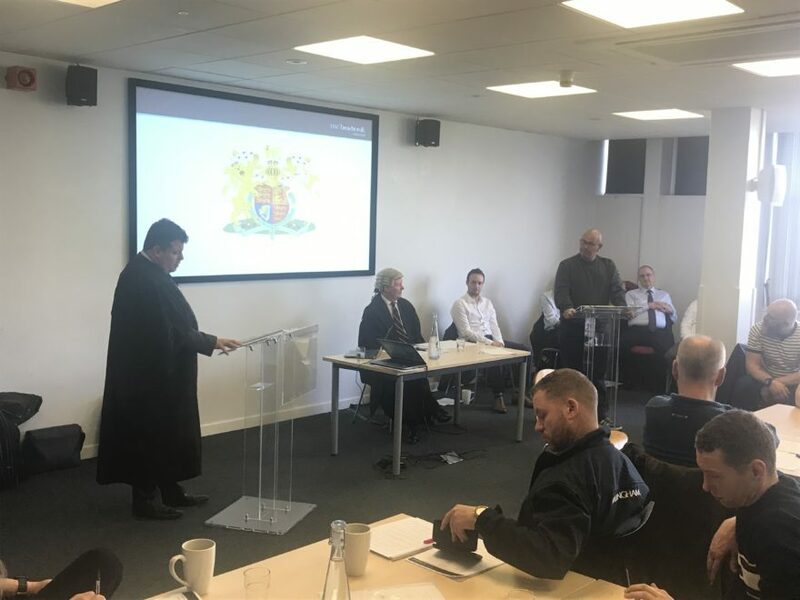 The trial – which is part of ‘The Law & Me’ day at the SHELT Frontline Supervisors Forum – was held at the Railway Museum in York and was hosted by CECA North West, DAC Beachcroft and AD Health & Safety. The aim of the mock trial exercise was to support supervisors and help them to understand their obligations and responsibilities if a member of the workforce was to lose their life in a health and safety incident in the workplace. The SHELT Supervisors Forum is facilitated by Network Rail’s framework contractors and aims to provide ongoing development to Story Contracting’s supervisors. The Forum provides the opportunity for best practice sharing and allows individuals to build a network of peers within the industry. Representatives at the Forum are able to take back learnings and observations to each of their companies, which in turn benefits all the organisations involved.